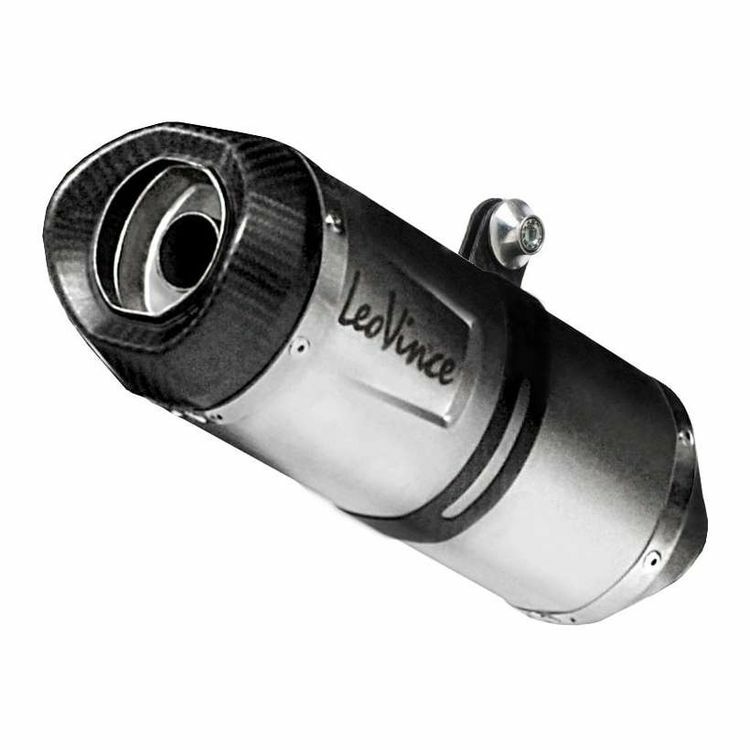 The Leo Vince LV One EVO Exhaust System is the ideal combination of Italian styling and modern performance. The inlet cap and internal chambers are manufactured from AISI 304 stainless steel, which means it’s not only lightweight but also tough and impact-resistant. The exhaust's oval shape with clear and unique lines gives the silencer a unique compact profile. The stainless steel option features a sandblasted finish giving it an elegant and gritty titanium-like look. The carbon fiber version features an outer shell made of carbon fiber for those seeking a lightweight exhaust with a darker tone. Both versions of the LV ONE EVO are built to stand the test of time with the stainless bands and rivets and quality TIG welding. The muffler end cap is made entirely of heat-resistant carbon fiber, which gives the exhaust a decisive styling and greater resistant to high temperatures. The muffler clamp is also made entirely of carbon fiber and allows for a flawless installation. This is a really nice exhaust system. It's well built, looks good and sounds great on my xsr700.